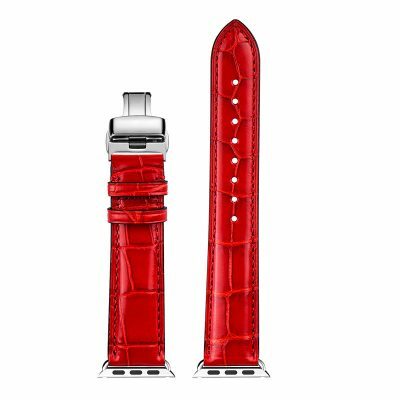 Luxury apple watch bands, alligator apple watch bands and crocodile apple watch bands straps for sale, all our luxury apple watch series 4, 3 bands straps are free shipping worldwide. We only offer high-quality, high-end luxury apple watch bands, apple watch straps and iWatch bands to our consumers. Our all watch bands are 100% compatible with apple watch so you can easily swap out your band within a few seconds. Our adapter went through countless iterations to get it just right. Works with Apple Watch Series 4, 3 Apple Watch Edition and Apple Watch Nike+. 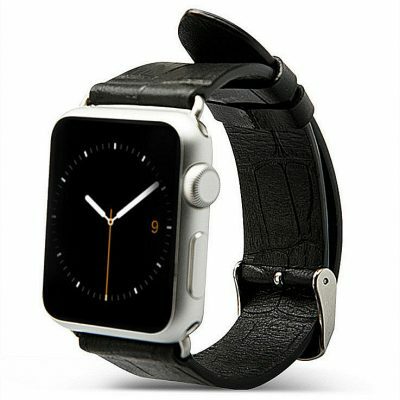 Are you looking for a leather band for your Apple watch which will really stand out? Then VANGOSEDUN is your best choice! Our bands are classic, noble and elegant, which makes your apple watch can be transformed from a stylish sports accessory to a noble fashion-item in an instant. The individual and unique designs of bands ensure that you are perfectly equipped in every occasion. You may even end up loving your Apple Watch Band more than the Apple Watch itself. So what are you waiting for? Get your VANGOSEDUN’s band now and wear your Apple Watch with style. All of our apple watch leather bands are handcrafted in Hong Kong. Each band is hand cut, punched, skived, stitched, and assembled with great care and attention to detail. In a day and age where assembly lines and division of labor are par for the course, we’re proud to offer our top-quality handmade goods as an alternative. All of our bands for Apple Watch are available in both 38mm and 42mm sizing and fit both the Apple Watch and the Apple Watch Sport. 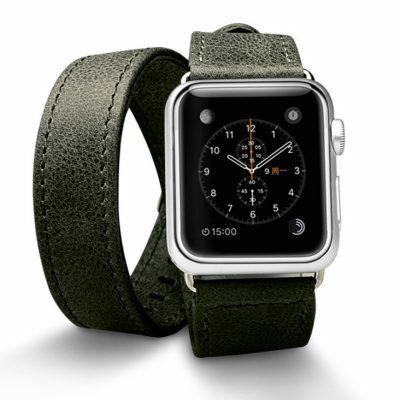 For making our luxury apple watch leather bands, we do not procure leather at cheap rates. Each piece of the world famous Italian leather (vegetable tanned leather) that we use is hand-picked by our experts from tanneries around Naples, Marche, and Benevento. 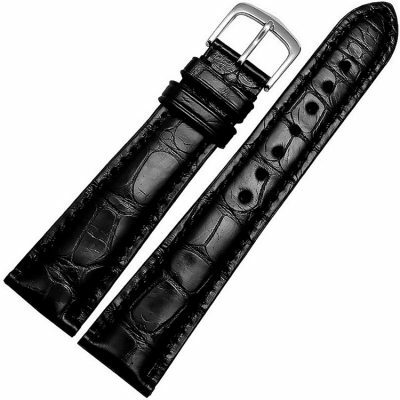 Various types of leather may be used including cowhide, calfskin, crocodile, alligator, ostrich, and suede. 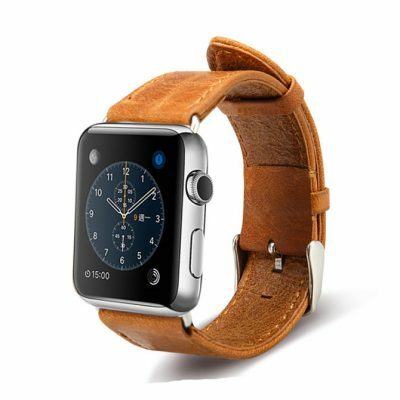 Vegetable tanned leather is a luxury leather. It uses natural ingredients instead of chemicals, so it is environmentally friendly. Further, the hardware that we use is quality checked at every step of our production process, ensuring an accurate, appropriate fit for the Apple Watch. Since every pair of apple watch band is uniquely handmade, the color and stitches might look slightly different from the photos. As it is a natural material, you might find scratches and patterns on the surface. It is normal and natural that every piece of leather has its own texture!
. Classic: Mainly represented in leather form and normally crafted from high-quality materials. As we are using high-quality materials.
. Custom: Bands featuring funky or personal designs that make your Apple Watch pop.
. Steel: Metal straps that add finesse to the watch with a stainless and sturdy finish.
. Nylon: Made from rugged synthetic polymers for elite defense against scratches and scruffs.
. Sport: Engineered for comfort fit during heavy fitness and outdoor activity.
. Milanese Loop: Woven stainless steel mesh that wraps around the wrist with an adjustable magnetic closure. 1. It’s A Gorgeous Timepiece: Apple’s design aesthetic translates well to its first wearable device, with the Watch looking almost like a tiny, rounded square iPhone that you strap to your wrist. It can also be outfitted with any number of distinctive, easily attached straps. It’s a good-looking gadget, with the Retina display sharper than competing watches, and the hardware also brings some innovation to the smartwatch industry. Using the Digital Crown for zooming and scrolling gives you precise control without obscuring the screen, and the Force Touch tech lets you press harder on the screen to access additional options. Having interaction with a smartwatch broadened beyond simple taps and swipes should make for a more comfortable interface. 2. It’s The Most Capable Smartwatch To Date: The Apple Watch may be the smartwatch that proves how versatile and useful they can be. Beyond telling time, weather and pulling notifications from your phone, which all smartwatches do, the Apple Watch puts more information and functionality on your wrist. You can interact directly with a wide array of apps and games, use Apple Pay, hold calls directly from the watch, get at contacts in a hurry, send watch-to-watch images and vibrations, and more. That means less of a need to pull your phone out of your pocket every few minutes, which might make you more attentive in your daily life. 3. Great Fitness & Health Feature: Much of the focus has been on one of the simple and compelling Apple Watch features: a suite of fitness and health-oriented features. With a sensor that can track the steps and heart rate of the wearer, Apple Watch is able to show off the daily movements of the wearer, like walking, standing or exercising, and over time suggest customized exercises for the wearer. This Apple Watch advantage is gaining popularity in a society where people care more about how to live a healthier life. The Apple Watch came in to break the old schemes about watches. It is very useful and replaces all we knew about watches in the past. However, there was still a challenge. How to make the Watch Strap fashionable on each and every occasion? 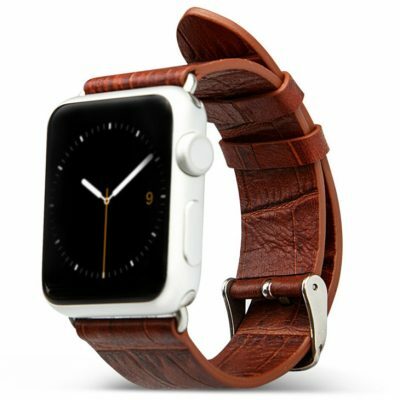 We took on this challenge and created this site where we offer Leather Apple Watch Band and Leather Apple Watch Strap for sale. A watch band doesn’t have to be as expensive as a new watch. Our products are an affordable choice for those who are looking for assorted options. We know how important is your Apple Watch. It has become an extension of your iPhone. It doesn’t have to look the same way all the time. There is a Watch Strap suitable for every occasion. 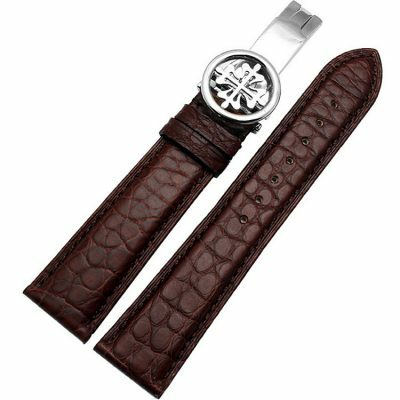 Our collection includes bands for sports, nylon bands, the classic leather, and even stainless steel. We are continuously updating our galleries with new colors and styles. You can update your strap any time. Just step into our shop and browse our catalog to find your next style. We are sure that you are going to get the perfect match because we have covered everything, from vintage to modern styles. If you are looking for an upgrade to your Apple Watch Band, you will not resist our collection. Beware because you might end up getting more than one strap! We are aware of the importance of your Apple Watch. The Watch Strap is not just a fashionable accessory. It is a security item that secures your Apple Watch to your wrist. Therefore, quality is very important. We provide an unmatched quality. Each and every strap we deliver has been tested to resist the toughest strain. The secure system is very important. We pay special attention to the quality of this specific part. That is how we ensure that your Apple Watch will stay at its rightful place. You don’t need to worry about quality when you purchase a strap at our site. We have it all covered. We are aware of how much it means to get an Apple Watch. However, that doesn’t mean the accessories have to be as expensive as the watch was. It is not fair to pay more than you have to for an interchangeable set of straps. 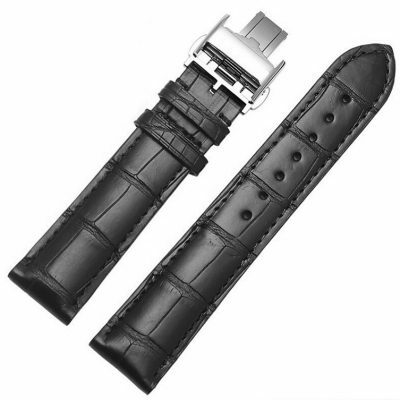 The Watch Bands are perfect to change the looks of your watch as if it was a brand new model. We provide affordable bands so that you can choose more than one. That way it will be like having different watches, transforming your Apple Watch. 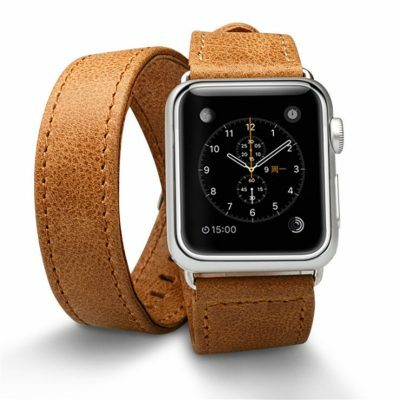 Tags: apple watch bands, apple watch band, apple watch straps, apple watch strap, iWatch bands, leather apple watch bands, leather apple watch straps, leather iWatch bands, leather apple watch bands, men’s apple watch bands, women’s apple watch bands, apple watch leather bands, crocodile apple watch bands, crocodile apple watch straps, alligator apple watch bands, luxury apple watch band, alligator apple watch straps, apple watch bands 40mm, apple watch bands 44mm, best apple watch bands.